Situations like you and Dallis are going through remind us to treasure every minute – we never knows what lies around the next corner. 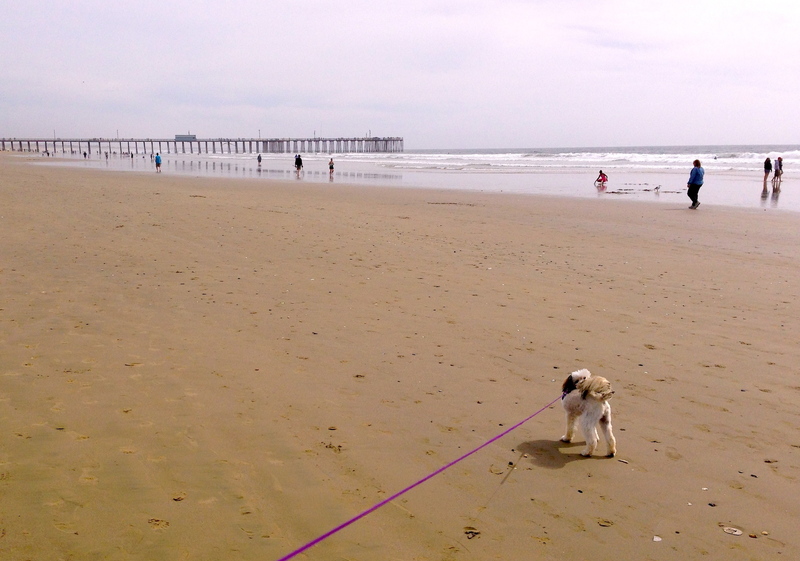 Moments spent together, like you were able to at the beach with Bailey, are sooooo special! We Are Reminded – And Thankful! You and Dallis will be in my prayers. I appreciate your writing very much, whatever the topic, but was both saddened and inspired to read this post. Please keep us updated as you are able. May the hope of resurrection bring comfort and peace to you both! Mark, I have been watching your blog and was wondering what was up when there were no new entries. There may be no one way to move through your experiences, but I trust that God has gone out ahead to make a way for you both. Praying for Dallas’ healing and that you will both continue to have grace-fillled moments like the one on the beach. I’m sending healing thoughts and prayers. Take care. Thank you for this info – sad and scary though it may be. I had not a clue of this as I’ve been out of online communication for quite awhile. My thoughts and prayers are with you both, and I send much love. Mark and Dallis, A lady at church on Wednesday shared this saying “We are too blessed to be stressed”. We hope you can take time to embrace all your blessings in this difficult time. Loving God, touch Mark and Dallis with your peace and strength and comfort. Be as close to them as the air they breathe. Surround Dallis with your healing and your protection through all the procedures and tests and treatments. Guide them to be very gentle with each other. Send them people who are able to love and care for them in all the ways they need. Surprise them with your love and presence in ways they never could have imagined. Bless and keep them. Lord, each and every moment. In Jesus’ name, Amen. God Bless you both. I had wondered why there was little communication and guessed something major was happening. You have a whole online family here too, rest on us, take our strength to bolster you and know our prayers are with you both. You are both in my heart and prayers, Mark. May you and your beloved wife (and family and friends) find all of the strength, hope, wisdom, grace and peace you need for whatever lies ahead. It’s the lifeline we all require on this uncertain earth. Blessings to you. What a shock to hear this news. Please give Dallis a hug for me and let her know that I’m thinking of her. It’s good to know that she has you and her extended family for support. Please let me know what I can do to help. Sometimes words are not enough, only prayers will do. I am holding you and your loved ones in prayer. If there is a need for a room or meals when any of you are in Santa Barbara, please don’t hesitate to call. Adding you and your wife to my prayer chain… I know how hard this road is with someone you love. I wish her healing and may you both be blessed. Thank you for reaching out to us across the miles. It is a blessing to be in the prayers of you and Sam. We do appreciate you remembering us in this way, especially since you have walked this path before. Thankfully, Dallis has begun her treatment with a hormone therapy that blocks the production of estrogen, as well as a clinical trial through UCLA of another drug that has shown promising results in interrupting the division of cancer cells. The cancer is localized on one breast at this point, and the latest scans were clear except for the primary tumor, which they expect to shrink with treatment. She won’t be undergoing chemotherapy in the near future unless these other treatments are not effective. Thanks again for your warmth, caring, and encouragement. You are a beautiful soul. That is excellent news!!! I am so glad Dallis will be spared chemotherapy. Her prognosis is actually very positive! And it has been shown that breast cancer triggered by the hormone estrogen tend to be less aggressive than other types of bc. And the fact that it is treatable is excellent. You are both in our thoughts and prayers. I know you are surrounded by a strong and wonderful network of support. Just know you have friends even from this part of the world sending you love and light and healing thoughts. Please send my warmest love and blessings to Dallis. The beauty of her work and her beauty in your life is apparent to all.